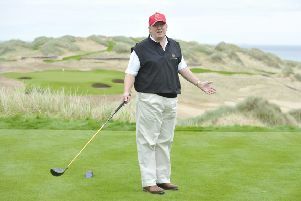 Planning officials have recommended that Trump Organisation’s contentious plans to expand its inaugural Scottish golf resort should be allowed, despite admitting that they fall foul of the local authority’s own policies and represent a “significant departure” from the original proposals. 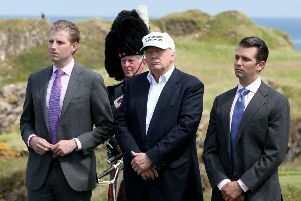 Eric Trump has said it is “insane” to suggest his family’s Turnberry hotel and golf resort is in debt, despite personally signing off on accounts which show its parent company is reliant on loans totalling nine-figures. 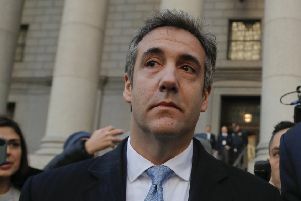 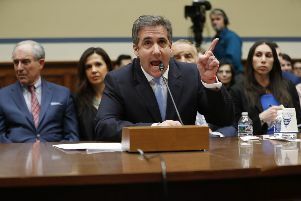 Donald Trump’s former personal lawyer told Congress the US president knew ahead of time that WikiLeaks had emails damaging to Hillary Clinton’s presidential campaign and he testified the American leader was a “racist”, a “conman” and a “cheat”. 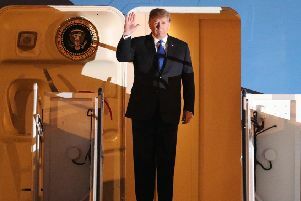 US president Donald Trump and North Korean leader Kim Jong-un were last night in place for their second summit to address arguably the world’s biggest security challenge. 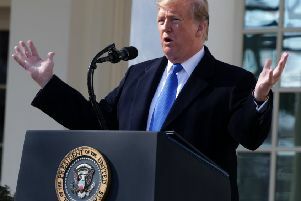 Many Americans think that the only national emergency is Trump himself, writes former Scottish First Minister Henry McLeish. 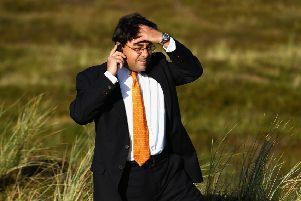 A senior Trump Organisation executive tasked with managing the company’s potential conflicts of interest during Donald Trump’s presidency has teamed up with a former editor of a Scottish newspaper to write a “behind the scenes” account of the the US president’s business dealings, The Scotsman can reveal. 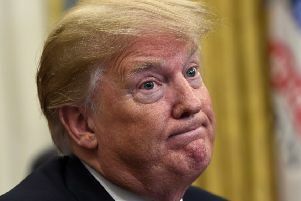 Facebook has removed more than 100 adverts for Donald Trump’s hotels and golf courses after ruling they had breached strict new transparency rules surrounding political advertising and failed to disclose who had paid for the promotions, The Scotsman can reveal. 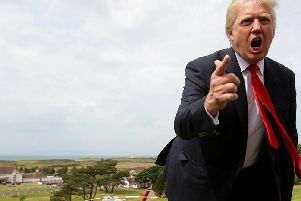 Donald Trump's sanity is to be explored on stage at an Edinburgh festival - using his notorious Twitter feed. 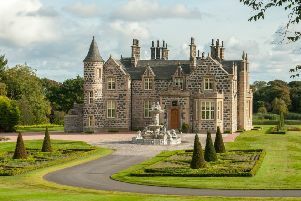 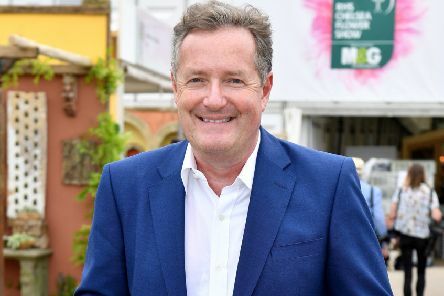 He has been accused of airbrushing centuries of history after renaming and overhauling a historic mansion house at the heart of his Aberdeenshire resort. 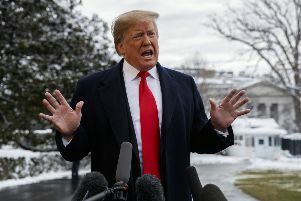 Donald Trump is expected to return to the UK in December for a Nato summit, it has been announced. 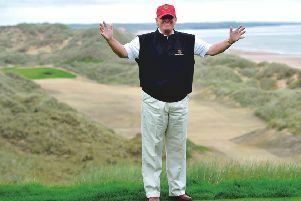 Scotland’s natural heritage watchdog has called for more “robust” evidence of numbers of internationally important geese populations at land ­earmarked by the Trump Organisation for a controversial extension of its Aberdeenshire resort. 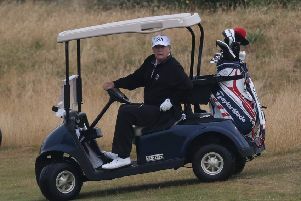 Donald Trump could have faced legal action for repeatedly flouting his promises for his inaugural Scottish golf resort, had local authority planning officers applied stricter conditions to the controversial multimillion pound development, according to a planning expert. 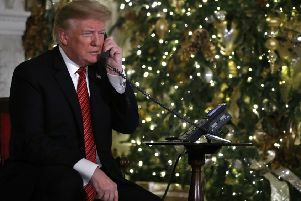 US president Donald Trump asked a seven-year-old boy if he still believed in Santa as he and wife Melania took phone calls from children anxious to find out Father Christmas’ whereabouts on his gift-giving journey. 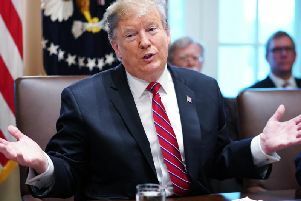 Councillors have been urged to take a stand against Donald Trump as a hearing is set to take place over plans for 550 homes at the Menie estate. 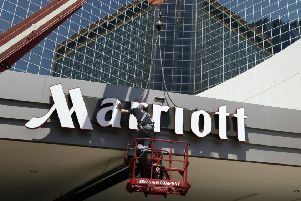 Marriott has announced 500 million guests’ data may have been exposed during breaches in a reservation database that began in 2014. 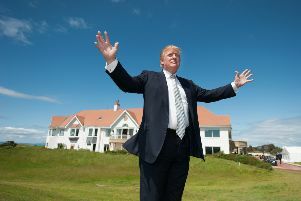 The Trump Organisation’s plans to build hundreds of upmarket houses next to its inaugural Scottish golf resort have been dealt a blow after an economic expert at Aberdeenshire Council described the scheme as a “weak substitute” compared to original plans approved by the Scottish Government a decade ago.